Mary J. Laughlin, M.D., is the Founder and Medical Director of the Cleveland Cord Blood Center. Dr. Laughlin is an internationally recognized hematology expert in allogeneic cord blood transplantation for adults and pediatric patients with leukemia and other hematological malignancies, and hemoglobinopathies including sickle cell disease. Dr. Laughlin, who has been a practicing physician in bone marrow and stem cell transplantation since 1992, performed one of the world’s first successful umbilical cord blood transplants in an adult leukemia patient in 1995 and conducted studies over the ensuing 25 years to establish cord blood as a new standard in the field. She previously served as President for the International Society for Cellular Therapeutics. She received her medical degree from SUNY in Buffalo, New York, and a Bachelor of Science in Nursing from the University of Rochester. Marcie Finney is the Executive Director of the Cleveland Cord Blood Center. With an extensive background in the field of cord blood, she spent over 10 years at Case Western Reserve University where she participated in cord blood research. As Executive Director, her responsibilities include strategic planning, finance, administration and quality product development, and she is active in the cellular therapy industry. 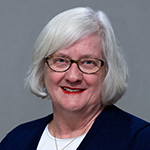 Prior to her current role, she served as the organization’s Director of Hospital Relations where she headed the education and training of collection coordinators and medical staff at hospital collection sites. She received a Master of Science in Chemistry and an MBA from Case Western Reserve University, and a Bachelor of Science in Chemistry from Slippery Rock University. 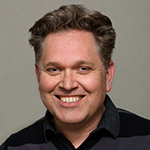 Wouter Van’t Hof has his Ph.D. in Cell Biology with over 15 years of biotech experience in translational research and development of adult stem cell therapies, including bone marrow stromal cells (MSC) and HPC, Cord Blood. He was the lead in acquiring FDA biologics license approval for HPC, Cord Blood product CLEVECORD™ and oversees CMC, Process Validation, Aseptic Processing, and GMP compliance. From 2002-2013, he was Director at Athersys (Cleveland, OH) and was responsible for technology transfer, product and process development, preclinical safety, regulatory discussion, clinical study design and management. Lisa Phillips Johnson came to the Cleveland Cord Blood Center with an extensive background and experience as a regulatory compliance and quality systems leader with expertise in FDA and accrediting agency requirements in a biological drug and research setting. 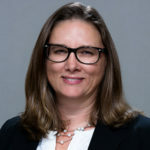 She finds creative solutions to meet regulatory compliance in the dynamic cellular therapy industry by building collaborative relationships with regulators and industry leaders to clarify requirements, supporting implementation of business processes for compliance and organizational success. 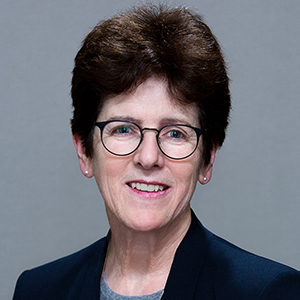 Her experience includes management of quality, audit and CAPA systems, process development and improvement, regulatory interpretation, reporting, inspection and follow-up activities in blood, cellular therapy and research settings.